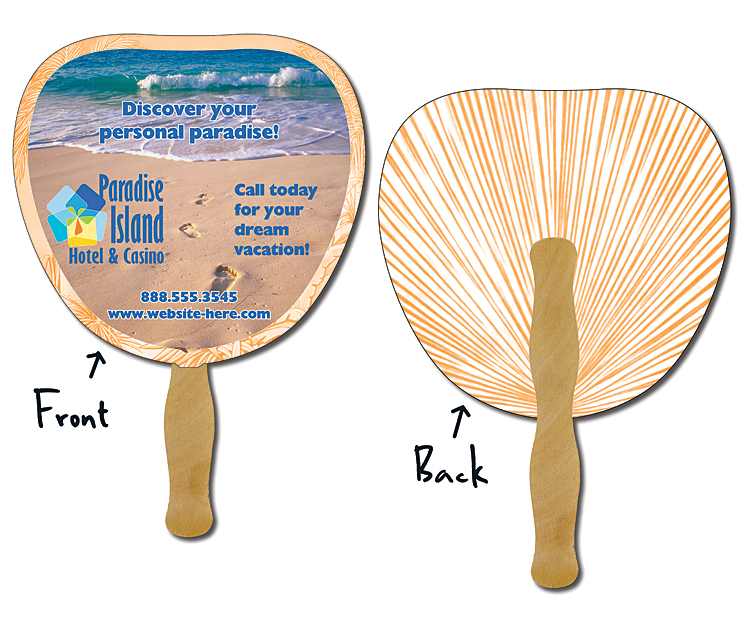 Hand Fan - 8.5 Inch Diameter Circle Laminated - 14 pt. 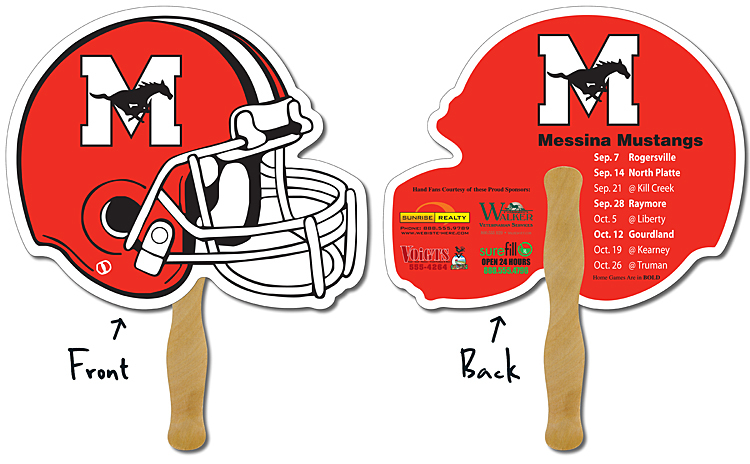 Hand Fan - 7.375x7.75 Laminated - 14 pt. 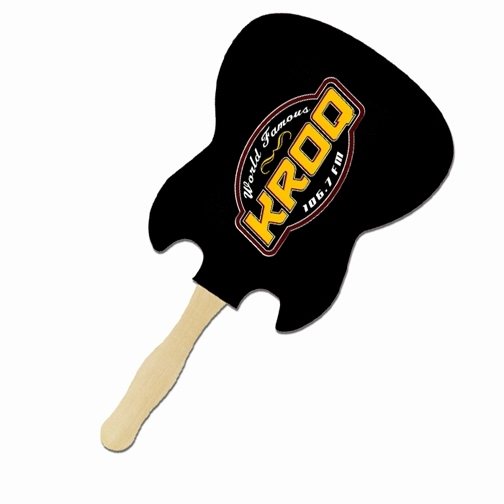 Hand Fan - 8.875x8.375 Palm/Leaf Shaped Laminated - 14 pt. 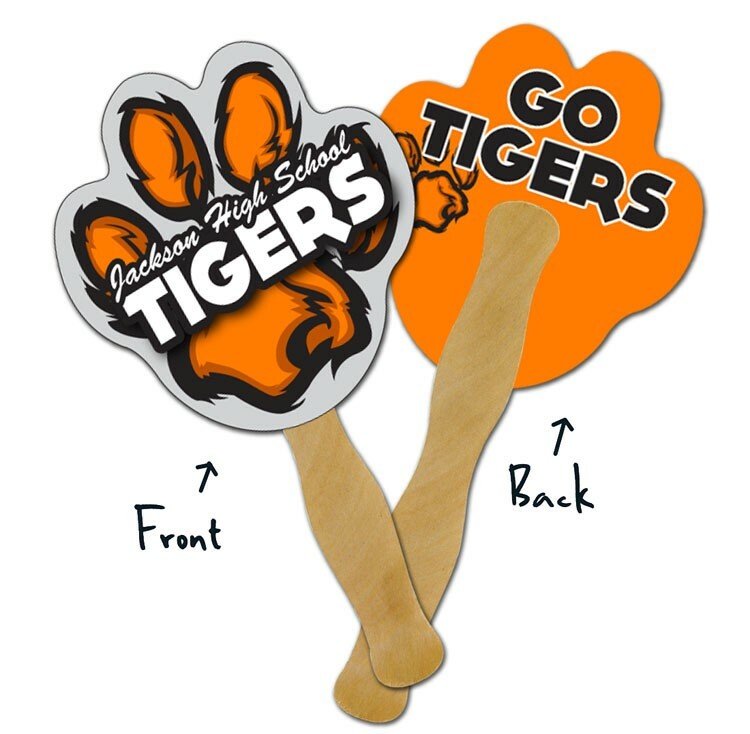 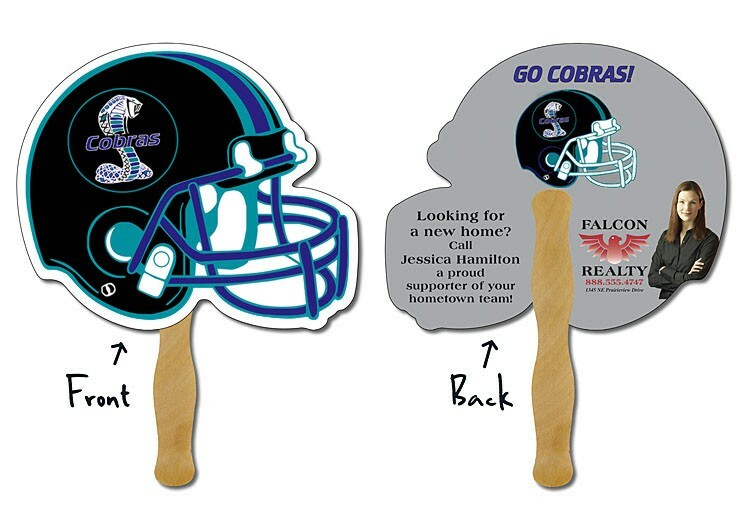 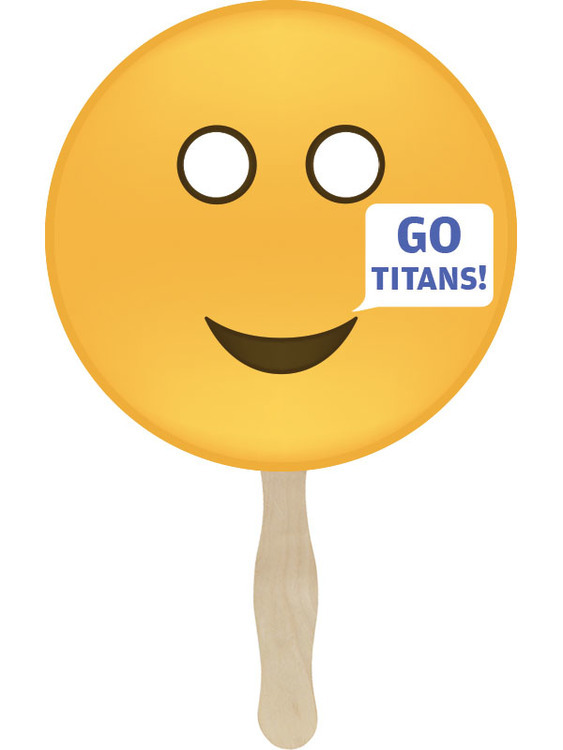 Hand Fan - 10x8.5 Football Helmet Shaped Laminated - 14 pt. 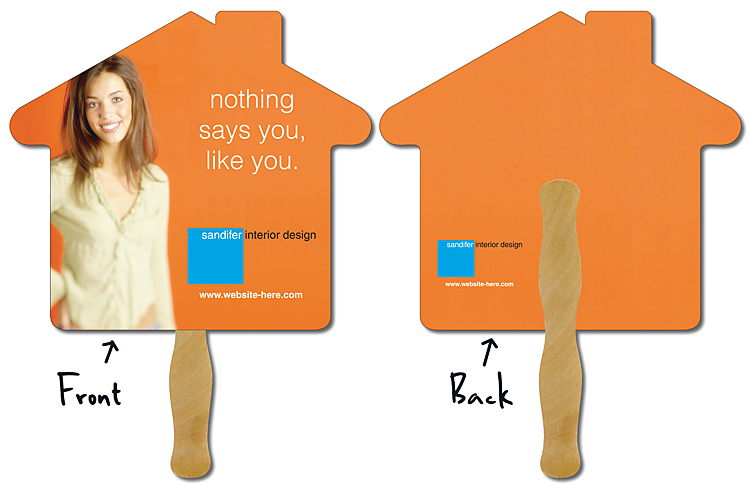 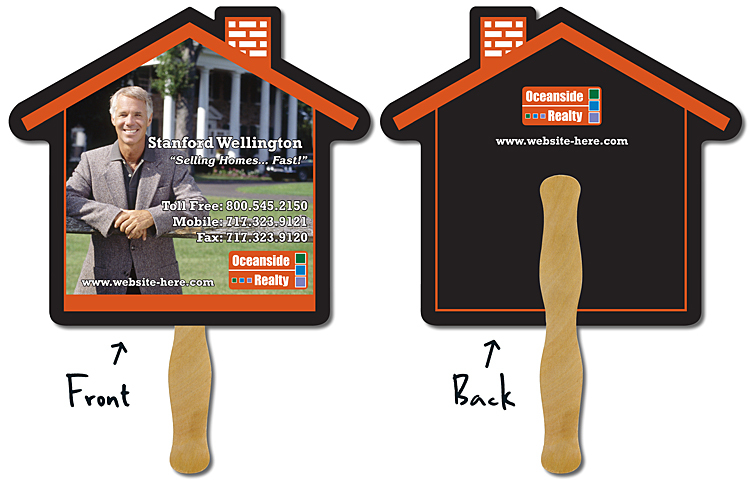 Hand Fan - 9.625x8.5 House Shape Laminated - 14 pt. 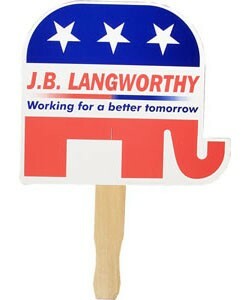 Mini Hand Fan - 5.25x5.5 Laminated - 14 pt. 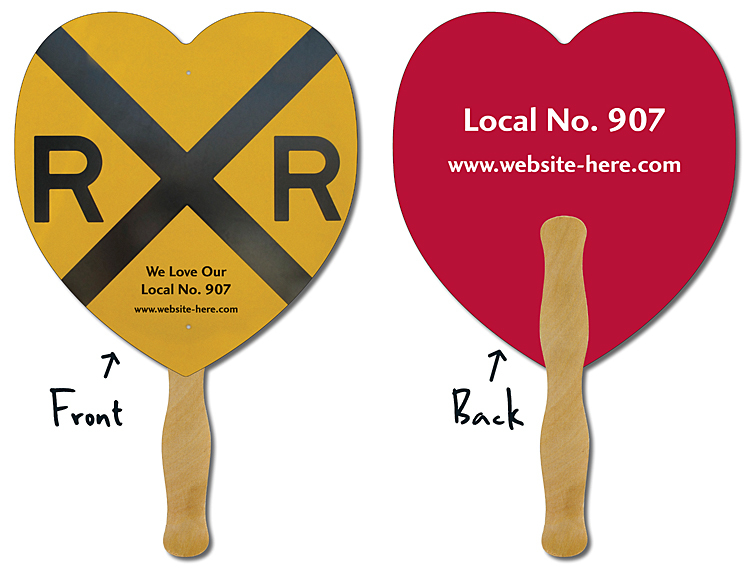 Hand Fan - 8.5x8 Heart Shaped Laminated - 14 pt. 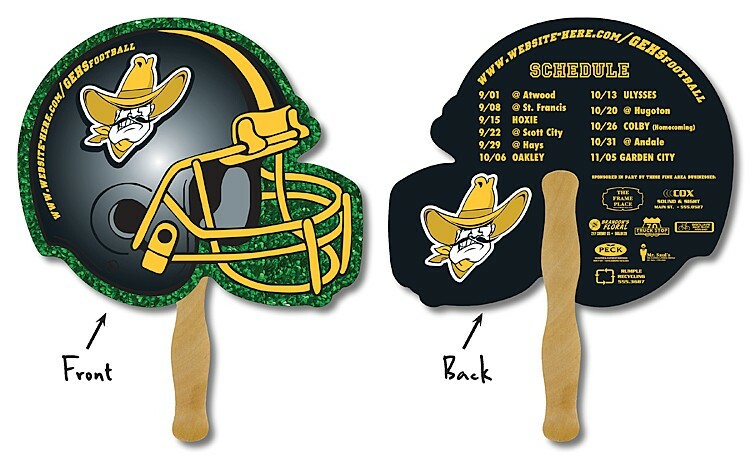 Sport Hand Fan - 10 x 8.5 Football Helmet Shape Laminated - 14 pt. 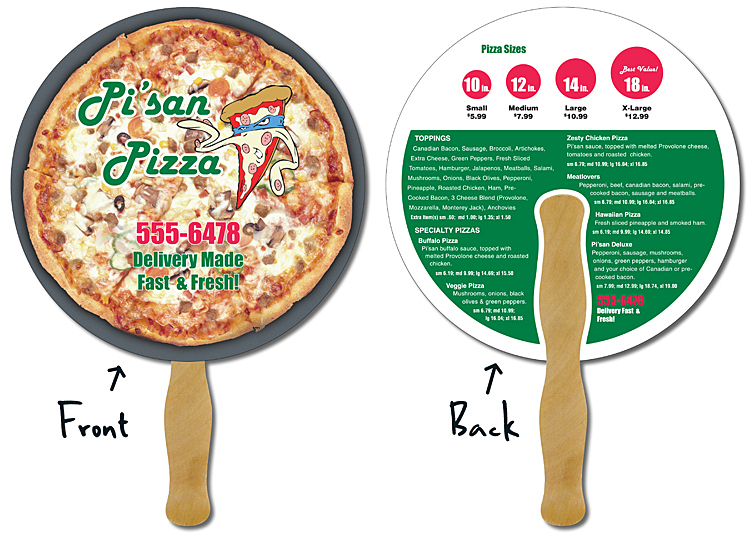 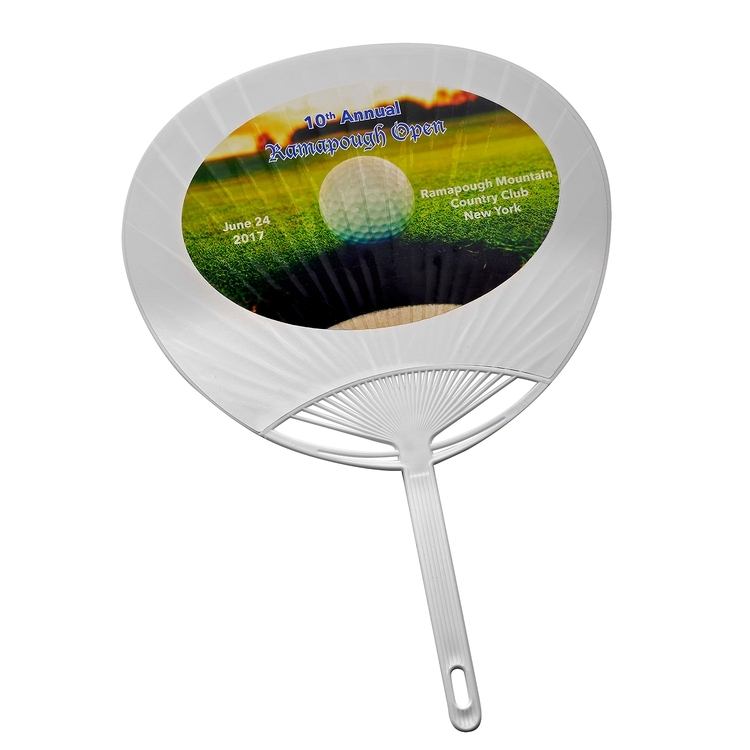 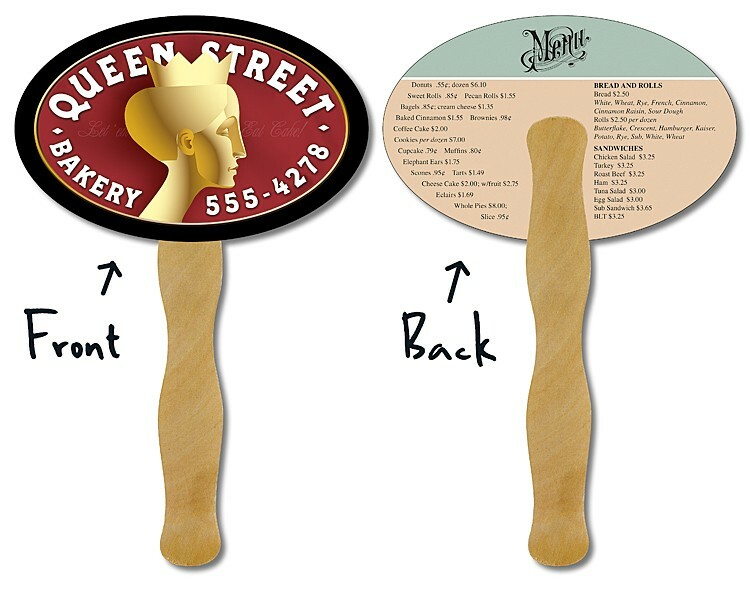 Delivery Hand Fan - 8.5 Inch Diameter Circle Laminated - 14 pt. 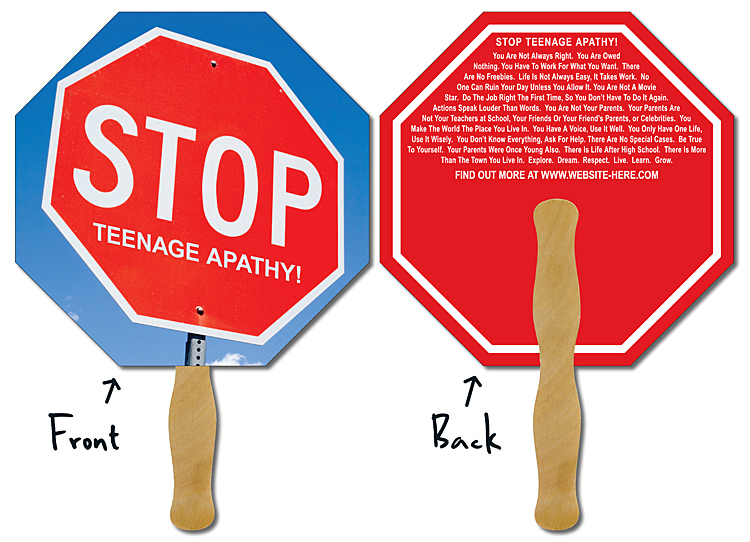 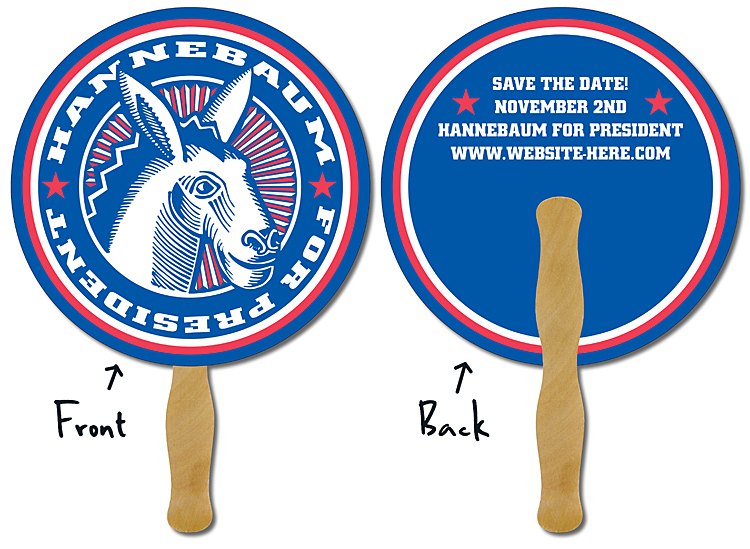 Political Hand Fan - 8.5 Inch Diameter Circle Laminated - 14 pt. 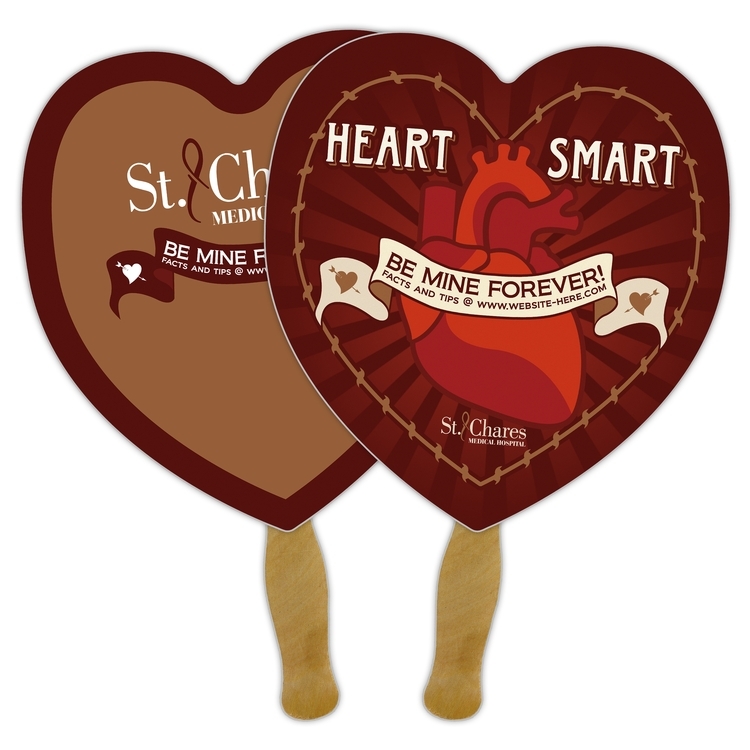 Announcement Hand Fan - 8.5x8 Heart Shaped Laminated - 14 pt. 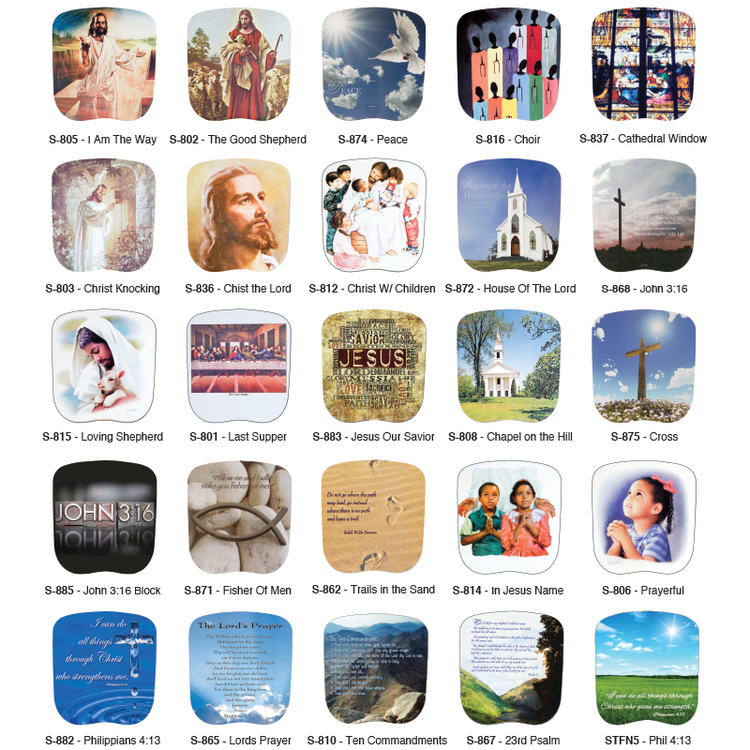 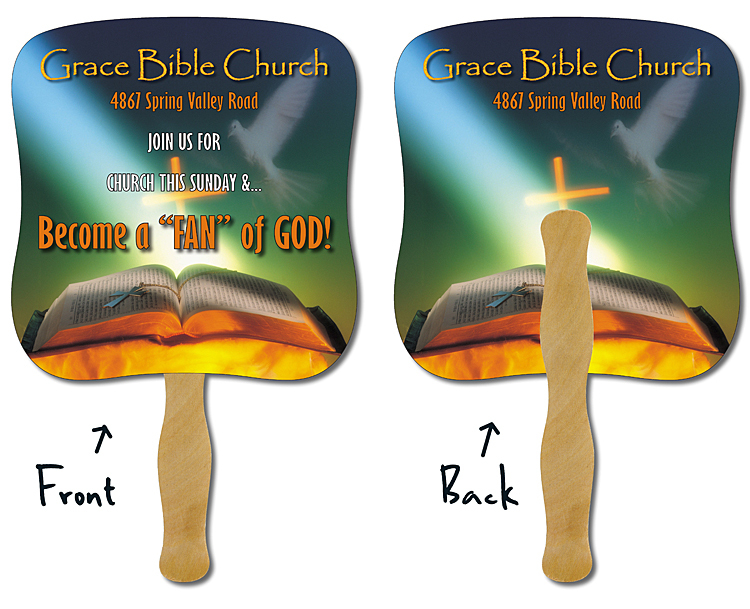 Religious Hand Fan - 7.375x7.75 Laminated - 14 pt. 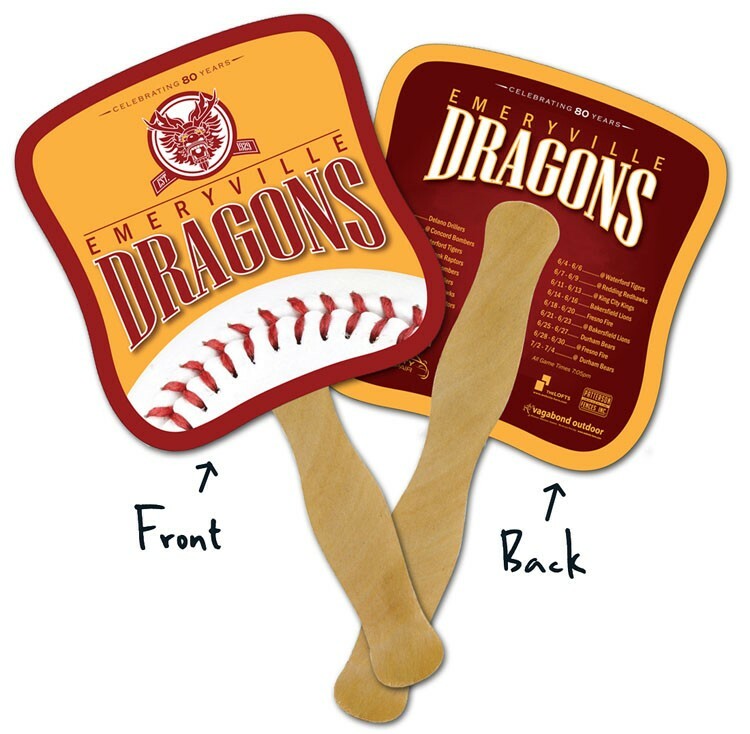 Hand Fan - 8x8 Square (Round Corners) Laminated - 14 pt. 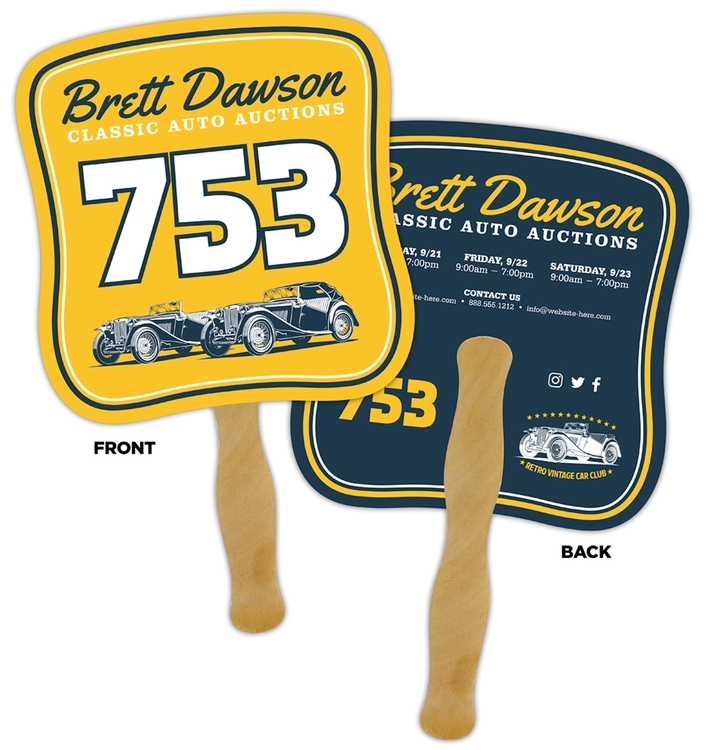 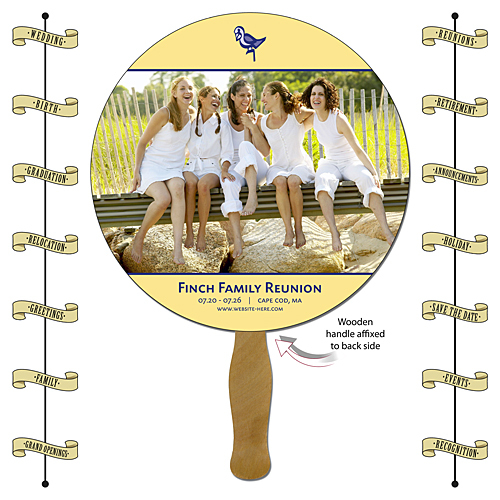 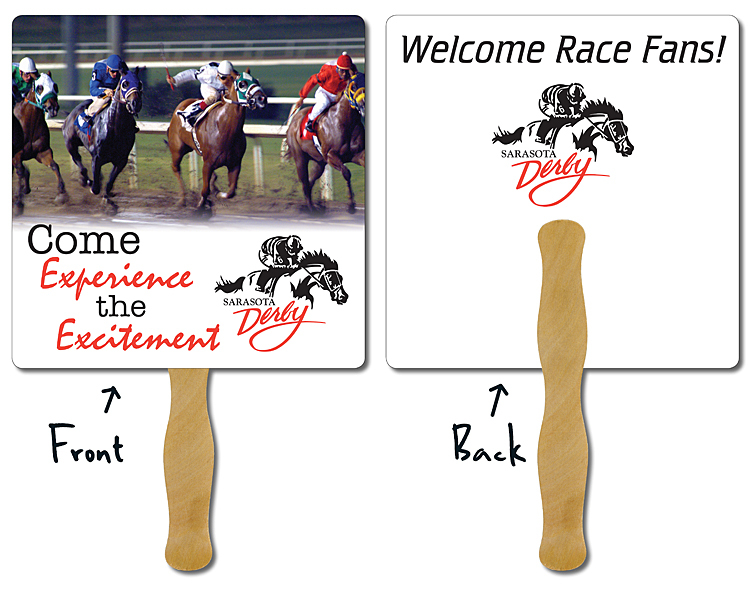 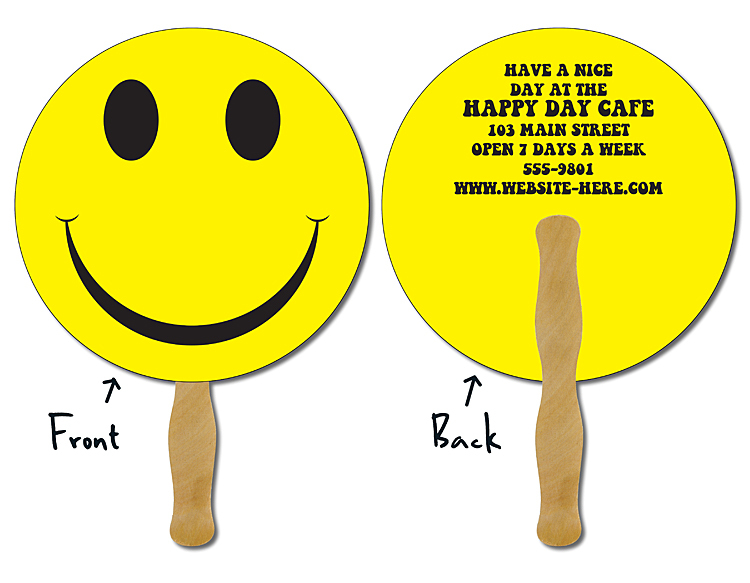 Announcement Hand Fan - 8.5 Inch Diameter Circle Laminated - 14 pt. 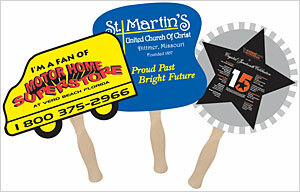 Hand Fan - 8.5x8.5 Octagon Shape Laminated - 14 pt. 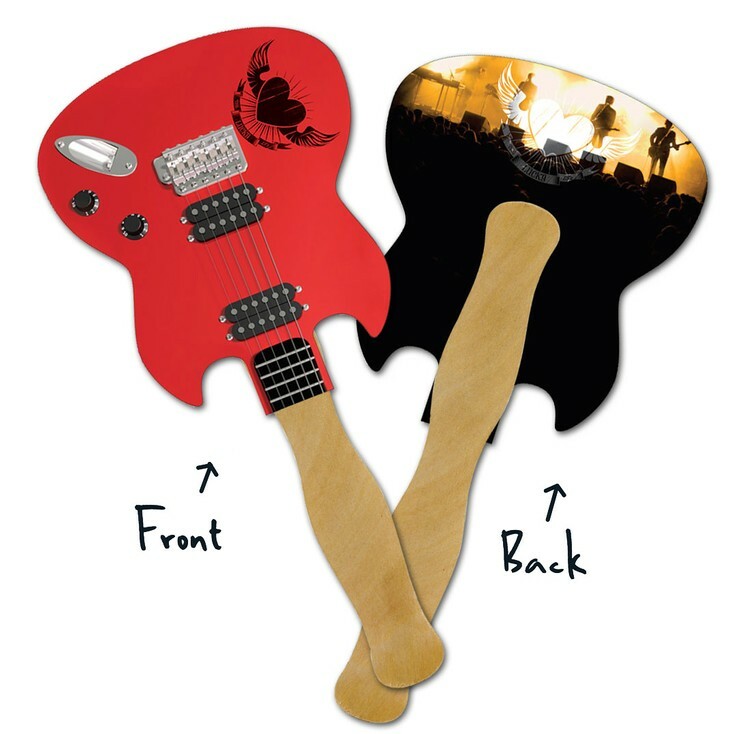 Mini Hand Fan - 5.25x5.5 Guitar Shaped Laminated - 14 pt. 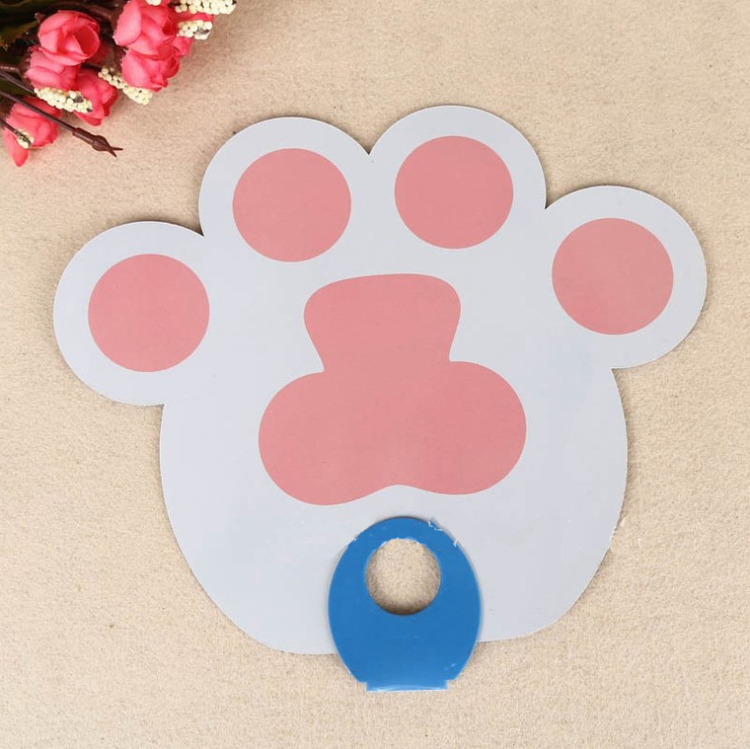 Mini Hand Fan - 5.25x5.5 Paw Print Shaped Laminated - 14 pt. 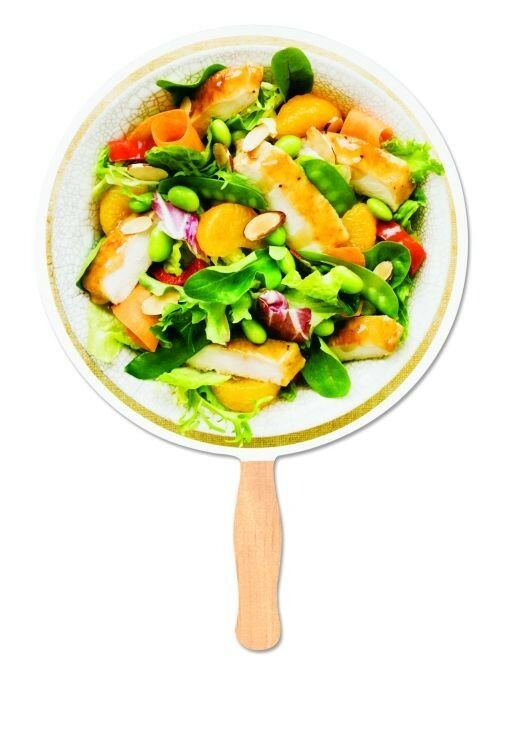 Mini Hand Fan - 6.25x4 Oval Shaped Laminated - 14 pt. 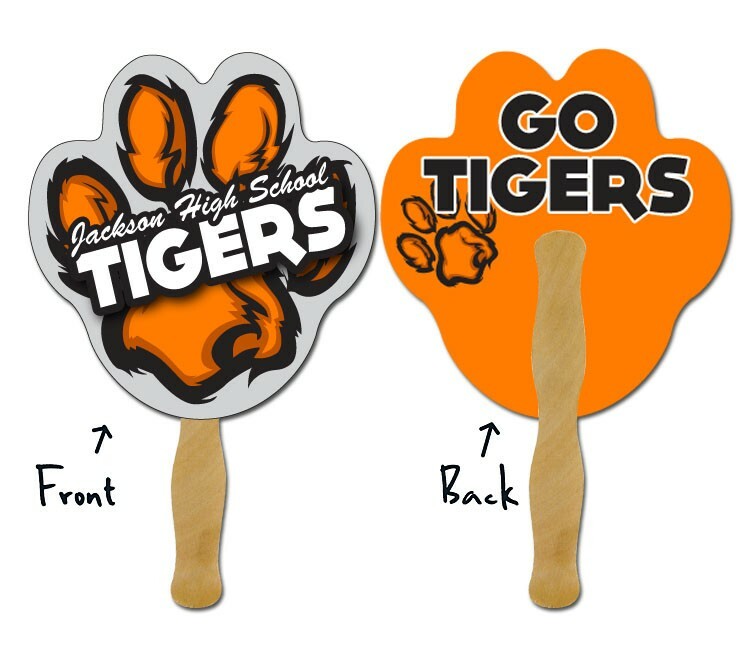 Hand Fan - 7.5x7.375 Paw Print Shaped Laminated - 14 pt.